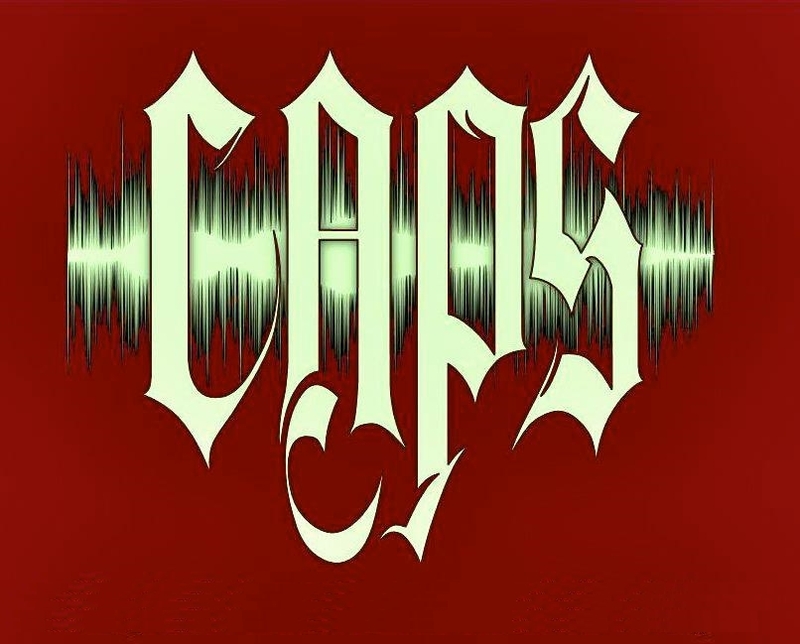 This summer CAPS made a return trip to Hartford City, Indiana to investigate the Monroe house. Two years prior we visited the Old Speakeasy and Hartford City jail. There seems to be some fascinating paranormal events happening in this little Midwestern community. This multi-family residence built in the 18oo’s has stories of both child and domestic abuse by former occupants. The ghostly tales harken back to the 1930’s describing apparitions, shadows, sounds, disembodied voices and kitchen cabinets that are mysteriously found open. Various paranormal shows have featured the Monroe house, one of which was Paranormal Lockdown. They found human and animal remains buried under the crawl space which apparently dated back before the house was built. We met the owner, Eddy Norris around 7:30pm and my first impression of the house was love at first site, mainly because of its creepy charm. As Eddy gave us a tour of the house, Trish and I heard a loud noise behind us while in the second floor kitchen. Right after that we felt major chills as if someone had walked up behind us. After closing the windows to help prevent outside contamination and offering refreshments they kept stocked for the house guests, Eddy left us on our own to start our investigation. We decided to dig into this investigation by starting in the basement. While we were down there, Trish heard someone walking around upstairs and was feeling chilled down her back. Dave said his ears were profusely ringing at the same time. Trish and I observed sections of the basement that appeared to lighten up to a dull white color, then suddenly disappear. We left a video camera running to be our eyes and ears so that we could investigate the second floor. We set up more video cameras on the second floor as it was time for us to concentrate on the first floor. Trish spied a kitchen cabinet door below the sink had opened. Dave chuckled that while we were upstairs he had asked if the spirits would open one up for him. It would seem that someone was obliging! We elected to sit in a room located at the back of the house that had some spooky Halloween decorations. We placed chairs so that we would be facing in the direction of another room where we had placed the REM pod. It wasn’t long before I suddenly felt all cobwebby and felt the pressure of a hand resting on the side of my head. I should have perhaps been a little frightened at that point, but it seemed harmless. The REM pod remained silent until we moved to another area, it went off as if something was following us. We left it in the same spot and heard it alarm for a second time while we were in the front room. We relocated the REM pod to Dave’s least favorite room upstairs. It contained some “intimidating” dolls adorning a dresser. Although I am a doll enthusiast myself, I have to admit some of them had disquieting stares! The REM pod lit up on more than one occasion, so Dave took it upon himself to take the K2 meter, (ala John Zaffis the haunted Collector), and test each doll for any readings. To say it was a colossal relief to him when the dolls did not emit any EMF emissions would be an understatement! We wrapped up around 1:30 and headed back to our hotel to prepare for our next adventure. It’s always fascinating to meet folks involved with paranormal locations. Although we have met some dodgy types, most have been pleasant and accommodating. Eddy and Pam Norris, the owners of the Monroe House went far and above expectations, and I wish to thank them for their exceptionally outstanding hospitality! Hartford City seems to be a hub of paranormal activity, and it is the hosts (and ghosts) that ensure we will be returning. The Mysterious Monroe House, looks quite innocent in the daylight! Dave's favorite room with dolls...aka his worst nightmare! This is the kitchen cabinet that was found open. This EVP was captured in the back room of the home we used as a staging area. Sounds like a child speaking over Trishs' voice. This is the child we tagged as outside but came across so clearly. We were on the second floor and all windows were closed. I had to put this one up. This was found on the recorder and this was the whole recording. We are not sure who this is? At the beginning around one second a voice says "OK". This was also from the staging area. This is also the child tagged as outside. This clip was grabbed from a video we found turned on inside the equipment bag. After I wonder if someone is teasing us, a whisper sounds like "story" to me.